Get help from your smartphone on the road, without taking your hands off the wheel. Apple CarPlay and Bluetooth let you get directions, communicate with your contacts, and control audio playback using voice commands. Powerful 4 x 55 W amplification makes music sound clear and dynamic, even at high volumes. 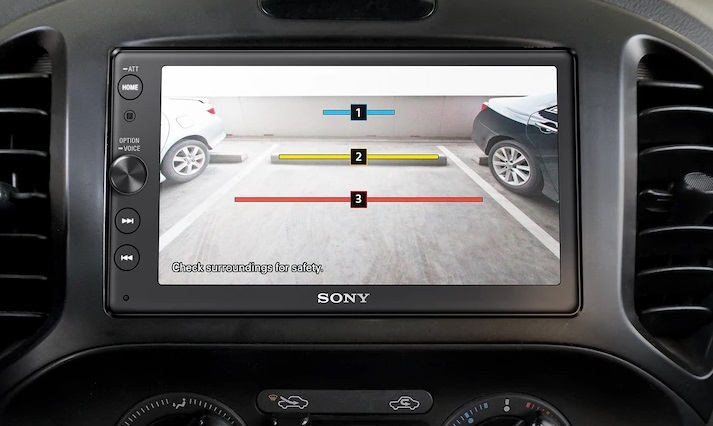 If you've got a rear camera installed, you can use it to help you park. Whenever you tap the rear camera Icon or put your vehicle In reverse, you'll Instantly bring the video feed up on screen. Customisable guidelines help you to back In smoothly and safely. Use all your essential iPhones functions on the road, with Apple CarPlay. 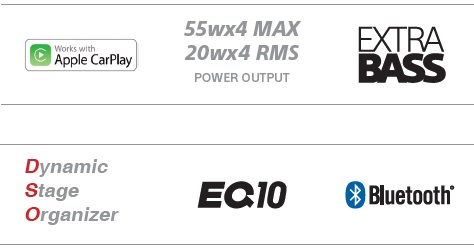 Connect your phone via cable, and you'll see a familiar interface displayed clearly on screen. Tap the icons to take calls, check voicemails and text messages, or bring up maps. And of course, listen to your favourite songs using iTunes, Apple Music or installed apps. 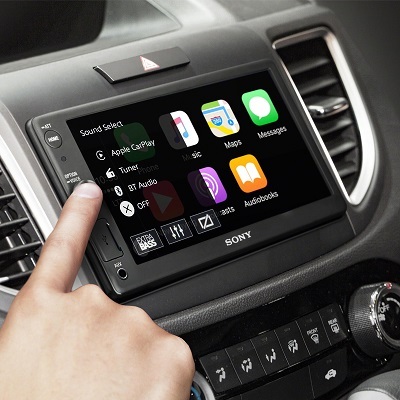 Apple CarPlay even lets you talk to Sid to control everything using voice commands, You can dictate text messages, control music playback or get directions, without ever taking your eyes off the road. Very pleased item as described and VERY fast 2 day postage!